The path from a CNA to nurse may not be an easy one especially if you have not yet acquired a nursing degree prior to becoming certified as a nursing assistant. If this is the situation that you are in, you may need to undergo just the same training and education that you would do in a normal nursing course which means an additional 4 years in school. There are however some better options for those who have an Associate’s degree in nursing, have already finished a nursing course, or those who live in states where obtaining a required number of years working as a CNA will allow you to take the nursing licensure exam. There are a lot of nursing graduates who prefer to work as nursing assistants first in order to gather experience in the medical field especially if they failed to pass the nursing licensure exam. Their background allows them to challenge the exam without having to undergo an expensive training program. 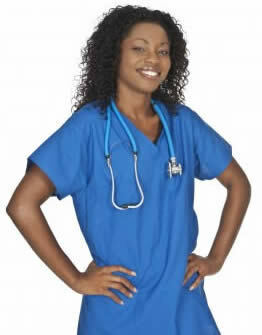 Hence, you will be able to find a lot of workers who find it easier to transition from a nurse aide career to nursing. Nurse applicants must take the NCLEX examination and if they pass, they can proceed to working as a nurse. Practically 90% of nurses educated in the United States pass the NCLEX on their first attempt. The NCLEX is the National Council Licensure Examination and is necessary for the licensing of nurses in U.S and Canada. However, if you only have a nurse aide certification or an LPN associate degree, the path to becoming a nurse can be a bit harder. LPNs can usually go for a bridging program where they only have to take fewer units compared to a regular nursing course provided they have significant work history and have shown great academic skills during their LPN study. The course costs a lot less compared to those who will have to undergo a regular course schedule. For CNAs, the advantage of their work history will depend upon the state laws that cover nursing. In some states, those who have already acquired 5 years of work experience in a healthcare facility as nursing assistants are allowed to take the NCLEX. Receiving this work experience is a great advantage, especially if you are not financially capable of paying for a 4-year nursing course. For others who are not as lucky, they will need to study for the required bachelor’s degree. Most nursing schools also would not give much credit for your work experience and nursing assistant certification. The most that they can give you is to remove a few units from the required course. The process of transitioning from a CNA to nurse will depend on the degree of healthcare education that you have had prior to becoming a nursing assistant as well as the specific laws which are governing the nursing occupation. You therefore have to research well on the rules of your state with regards to this before applying for any course that you want. You can also request some financial assistance from the facility that you are working in and agree to some conditions that they may provide with regards to the financial aid that they will extend for your education.